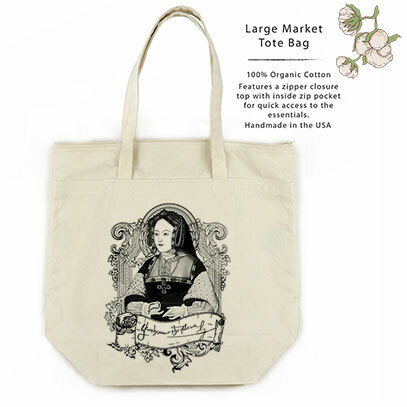 This fabulous hand sewn tote features on one side a drawing and design of mine of Catherine of Aragon, also spelled Katherine. 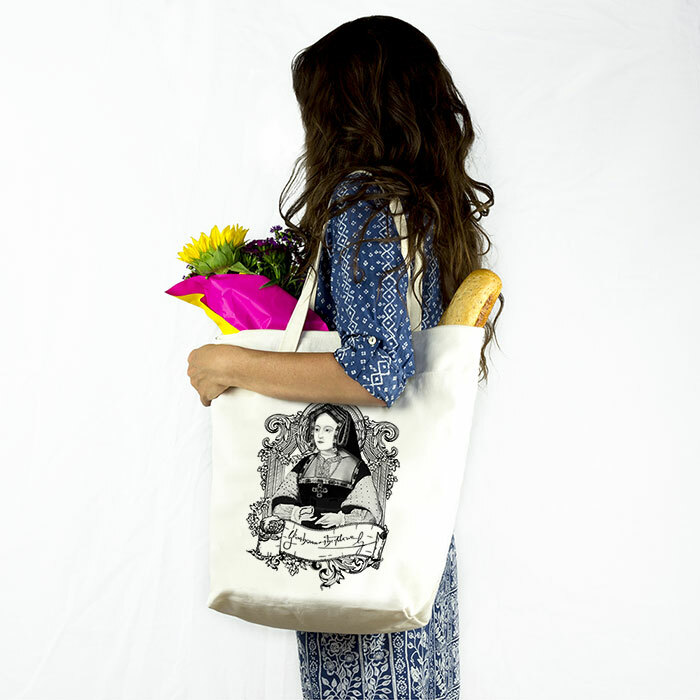 This is a serious Go-to bag. We took a long time, experimented with several fabrics, and even more designs. We played with zippers, and pockets. This bag is a culmination of some serious, thoughtful consideration as to what makes a really great bag; useful for all kinds of occasions. It's very sturdy,100% Organic Cotton, it's meticulously screen printed with waterbased ink (no hand, better for the environment!) 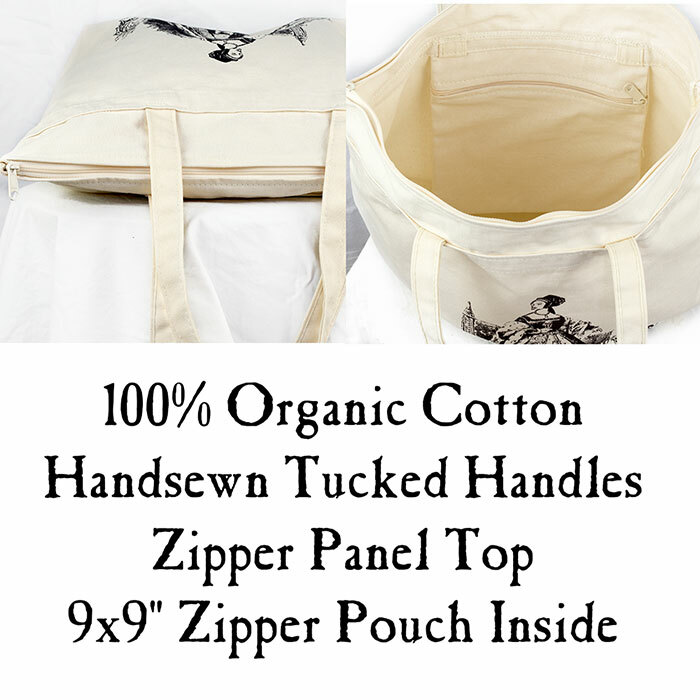 by hand in Colorado, very attractive 1 of a kind design, it's washable, it has a zippered pouch built into the inside, it's handsewn in the USA, it has a Gusseted bottom. I'm probably forgetting something but basically it looks as good as it performs. What to say of all this Tudor business? A real live Shakespearean Soap Opera if there ever was one. And there were. As with so many of the subjects I end up building my pieces around, my interest in the Tudor history began with books. Oftentimes I listen to audiobooks while I work on the pieces themselves, finding inspiration to create something completely original or re-imagining centuries old pieces. As with so many great stories of dynasties, the stories about the Tudors are oftentimes most interesting when they are most personal. All of the individuals in this enormous and oftentimes confounding family tree had and led such interesting lives (some of them dramatically shortened), that I have enjoyed paying a kind of tribute to their stories. One of the symbolic meanings of the pomegranate is "fertility and nourishment of the soul". It was also featured on Catherine's badge.